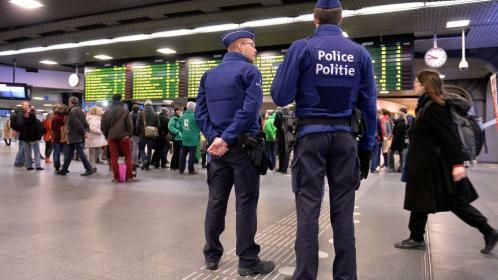 Travellers using international public transport in Belgium could be forced to buy tickets at least 12 hours in advance as part of a crackdown on cross-border terror and crime. An airport-style boarding system is to be introduced for rail, bus and ferry travel into and out of the country, a key transport hub, under a scheme that could also be adopted by other European countries. Despite the opposition of transport companies, Belgian officials are pressing ahead with plans for more secure travel after the spate of attacks by Isis. Under the new rules travellers would be required to identify themselves when buying a ticket. Their personal data would then be kept in a databank accessible by law enforcement agencies. It would not cover those travelling by car. Isis attackers, including the terrorist who struck at a Christmas market in Berlin, have used the Schengen area’s freedom of movement to cross borders. Main rail companies such as Eurostar and Deutsche Bahn, the German rail company, as well as the governments of neighbouring countries, are taking part in consultations on the new system. “Ideally, we would like to be able to say, from a security perspective, that tickets can’t be sold less than 12 hours before departure,” said Olivier van Raemdonck, spokesman for Jan Jambon, the Belgian interior minister. Travel companies failing to comply with the rules would face fines of up to €50,000 (£43,000) per passenger. The travel industry has lodged protests with the Belgian government. Deutsche Bahn said the measures could have a “deep impact” on the traffic between Germany and Belgium and jeopardise the freedom of movement of passengers. Terrorism has forced a gradual rethink of the Schengen agreement that allows people to move between 26 European countries without showing a passport. The UK is not a member. Germany reintroduced border controls with Austria in the wake of the migration crisis and the recent terror attacks. Over the holiday period, the checks were blamed for queues of up to 14 miles. Police in Paris already use metal detectors and random identity checks for passengers on high-speed trains.